Albert Einstein once wrote, “The hardest thing in the world to understand is the income tax.” The product of 95 years worth of additions, subtractions, deductions, and exclusions, it has become such a headache that many are calling for it to be drastically simplified or even removed all together. With a looming fiscal crisis on the horizon, April 15th seems more like a scene from a B-Horror horror movie than a day to contribute to the common good of the nation. Political favoritism, ineffective social programs, and economic manipulations all reveal the need for tax reform. But how can Americans decide the best way to change the income tax when few people even understand the code or the vast extent to which it truly affects the country? “An Inconvenient Tax” explores the history of the income tax and brings to light the causes of its many complexities. The film follows the tax through wars, economic booms, and some of the most significant presidencies in U.S. history. To help crack the code, the film employs the country’s top economic experts, commentators, and political voices. Noam Chomsky, Steve Forbes, Joseph Thorndike, Mike Huckabee, Charles Rossotti, Dave M. Walker, Neal Boortz, Michael Graetz, Daniel Shaviro, Leonard Burman, and others discuss not only the problems America faces in the tax code, but also give valuable insights on how to move forward. Finally, the film gives a voice to the creators of several tax reform solutions who claim to have found a better way. 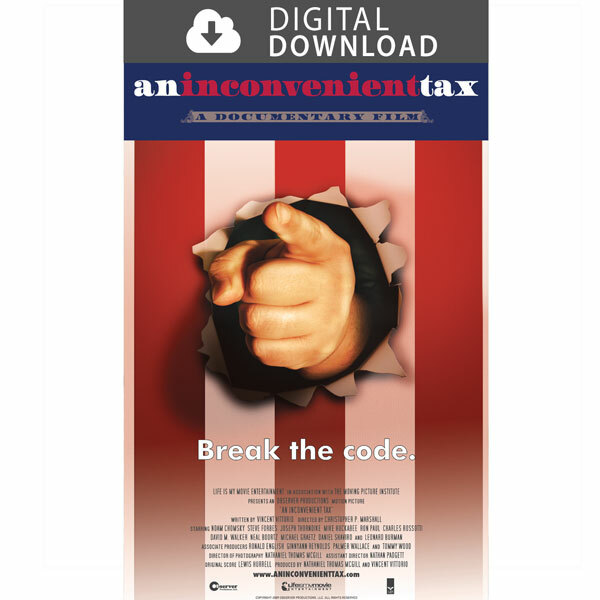 In a time when many Americans are concerned about the future of the economy, rising deficits, and unfair tax treatment, “An Inconvenient Tax” provides a crucial, honest look at the income tax. For the first time ever, Americans can engage in the tax debate with confidence and perhaps discover a new way to tax.